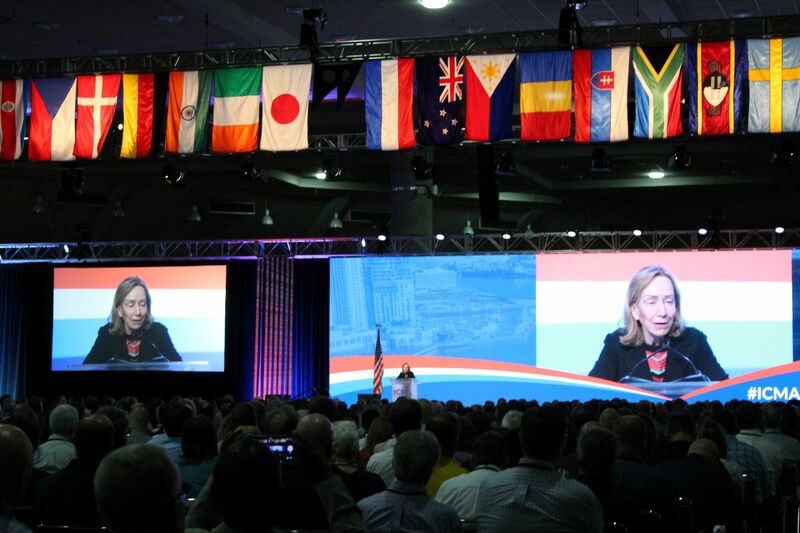 Watch Doris Kearns Goodwin's keynote through the 2018 ICMA Annual Conference Archives. Are leaders born or made? Are today’s tumultuous political times unique, or is history repeating itself? And if things were as chaotic in the past as they seem now, how did leaders deal with the chaos of their times? Pulitzer Prize-winning author and historian Doris Kearns Goodwin returned to ICMA’s keynote stage on Monday, September 24, to draw from her newest book, Leadership in Turbulent Times. Her presentation focused on the lives of four presidents—Abraham Lincoln, Theodore Roosevelt, Franklin D. Roosevelt, and Lyndon B. Johnson—and explored the unique journey of each man through his early development, growth through adversity, and exercise of leadership. Continuing to grow, gain empathy, and increase their knowledge. At age 23, Lincoln was not afraid to fail, which he did several times before finally being elected to public office. Theodore Roosevelt developed the humility that enabled him to understand his own shortcomings and the importance of working to benefit others, while retaining a sense of adventure. FDR suffered from a bout with polio that left him paralyzed from the waist down for rest of his life but able to celebrate even the smallest of life’s triumphs. Surrounding themselves with people who brought strengths to the table that differed from their own (the power of a rivalry of equals). Lincoln’s appointment of Edward Stanton of Illinois as Secretary of War, despite the fact that they were often bitter rivals, enabled him to eventually win his rival’s support for his Emancipation Proclamation. FDR surrounded himself with folks who had their own ideas about policy, and he repeatedly used his secret weapon—his wife Eleanor—to move controversial issues forward. Eleanor, for example, demanded that only female reporters cover her press conferences, so news outlets were forced to hire women. This opened up the U.S. workplace to women, who eventually became 60 percent of the factory workforce by the end of World War II. Cultivating cultures that motivated and inspired the best in their employees. All four former presidents possessed qualities that we would describe today as emotional intelligence. While a seemingly unlikely example, LBJ somehow inspired all of his teams to perform superbly and to remain loyal to him. The work ethic of the individuals on his teams was unsurpassed, and he instilled in his staff a sense that they were engaged in a higher mission. Finding time to think, a concept we struggle with in today’s distracting world of phones and emails. For months at a time while he was president, Lincoln moved into the Soldiers Home each evening—where he was able to think without the tumultuous distractions of the day--and returned to the White House at 7:00 a.m. every morning. Finding time to relax and replenish their energy. As frenzied as we think our days are today, they pale in comparison to the four presidents Goodwin highlighted in her presentation. Lincoln, for example, obsessively attended the theater and was a superb storyteller. When asked why he told so many stories, the president replied, “People remember stories that go from beginning to middle to end much more than they remember facts and figures.Theodore Roosevelt used physical exercise as his chief form of relaxation after he was diagnosed with asthma, and he took ridiculously long walks in Rock Creek Park. Because of his physical limitations, FDR needed stories brought to him, so he established a cocktail hour on the second floor of the White House that eventually became lengthy sleepovers for the likes of British Prime Minister Winston Churchill. Controlling negative emotions and channeling them into positive energy. Lincoln—who recognized that if you allowed emotions to overwhelm you, they would consume you—wrote letters to the individuals with whom he differed that he would never send. He also recognized the importance of timing and postponed issuing the Emancipation Proclamation in 1863 until he could sign it with a bold (and unshaking) hand. Theodore Roosevelt’s older speech writers had to assure the younger members of their staffs that although this president’s first draft of a speech named names and included derogatory language, by the third draft, the names would be removed along with the inappropriate language. Having the vision to make difficult decisions, despite their effect on their popularity. Advisors warned LBJ that it would be impossible and a career ender to pass a civil rights law. He, on the other hand, felt it was the role of the president to make those kinds of difficult decisions. Lincoln suffered serious depression when the gap between his vision and the reality of his situation was too wide. He felt he had disappointed his constituents, to whom he had promised infrastructure projects and couldn’t deliver. Goodwin closed her keynote session by reiterating that empathy, humility, resiliency, and transference of ambition for one’s self into vision for the good of others is key to leadership in turbulent times. 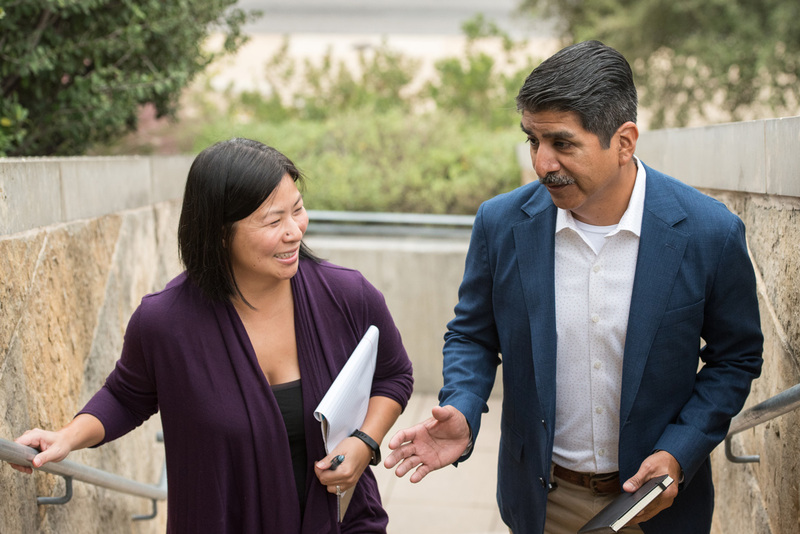 You can access this keynote presentation and other ICMA 2018 Annual Conference sessions through the ICMA Virtual Annual Conference. Available on demand, it’s a great way to participate in educational sessions presented by knowledgeable speakers, and earn credits toward your ICMA-CM or AICP-CM without the cost of travel.